In the Book of Esther, it says that the Jews "established and accepted" (the laws of Purim) - קִיְּמוּ וְקִבְּלוּ kimu v'kiblu. Are those two words Biblical Hebrew? On the most simple level, of course they are Biblical Hebrew, since the Book of Esther is a biblical book. But I don't think it is actually that simple. The two verbs - קים - "fulfill, ratify, preserve", and קבל - "accept, receive" - occur so frequently in post-biblical Hebrew, and so infrequently in biblical Hebrew that I think it makes sense to put them in the category of at least "late Biblical Hebrew" or perhaps to put them in a new category that would cover the transition period. Let's take a brief look at the history of each of these words. The piel form, influenced by Aramaic, along with the related hitkayem התקיים - "took place", gives us the adjective kayam קיים - "existing, enduring", and in modern Hebrew the noun kayamut קיימות - "sustainability". In Aramaic, the verb קום is קאם, which was shortened to קאי, further shortened to ka קא, and that even becomes a prefix - ka ק. That prefix is used very frequently in the Talmud before verbs, and while is difficult to define, has a similar meaning to "did" in English. Mishnaic Hebrew קבלה [qabbålå], lit. ‘that which is received, tradition’, refers to ‘the doctrines a disciple receives from his master’, ‘oral teachings not recorded in Scripture’. Later, the term becomes associated with a particular type of received tradition, the mystical doctrines known as the Kabbalah. The ‘Kabbalah’ meaning is still current in Israeli, but the primary sense has been lifted from the religious arena of received doctrine to the commercial world: kabalá means both ‘receipt’ and ‘(hotel) reception’. Israeli שעת קבלה shat kabalá, lit. ‘hour-CONSTR receipt’, means ‘office hour’ and מבחן קבלה mivkhán kabalá, lit. ‘exam:CONSTR receipt’, is ‘entrance exam’. Is it possible that there was no word for "receive" in earlier biblical books like the Torah? No - there was a word - lakach לקח. Lakach meant both "take" and "receive" and the similarity between those two meanings (with sometimes the only difference being in the thoughts of the person performing the action) makes it occasionally difficult to tell which one the verse meant. (For examples where lakach more likely meant "receive", see Bamidbar 3:50, 5:25; Devarim 26:4). This multiple meaning of one word is what likely led to the change in a number of words in post-biblical Hebrew. As we saw in this post, lakach (under Akkadian influence) came to mean "to buy"), leaving natal נטל for "take" and kibel קיבל for "receive". The biblical word meaning "to buy" - kana קנה - took on, in post-biblical Hebrew, a more specific sense of "to acquire possession (by a symbolic act)". As this book points out, in Modern Hebrew, lakach and kana returned to their meanings in biblical Hebrew, kibel still has its post biblical sense, and natal is not used frequently any more. Just as in the story of Esther - it was necessary for the Jews to accept the new laws for them to have full validity, so too with language - the "prescriptive" only becomes established when accepted by the speakers. In the discussion of the word kaftor כפתור, I presented a theory that it derives from the word keter כתר - "crown". Let's take a look at the word keter. In Biblical Hebrew, the verb כתר precedes the noun, historically. It means "to surround, encircle". (In post-biblical Hebrew we find the verb also meaning "to crown" - i.e. to make someone king or queen). The noun keter as "crown" first (and only) appears in the book of Ester (and actually never for the king - only for his queens or his horse). Previously in the Tanach we find the words atara עטרה or nezer נזר for "crown". The Arabic word for the head of a town - mukhtar - is spelled in Hebrew מוכתר, but isn't actually related to keter. It comes from a separate Arabic root meaning chosen or good (khayr), and so should be really spelled מוח'תאר. 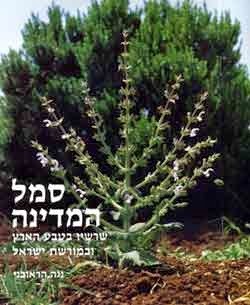 What is the difference between the similar words kahal קהל and kehila קהילה? Both can be defined as "assembly", "congregation" or "community" - but do they have different connotations? Well, one difference is the frequency they are found in the Tanach. Kehila only appears twice (Devarim 33:4, Nechemia 5:7), whereas kahal appears 122 times. Both derive from the root קהל meaning "to assemble, gather", a verb that also appears frequently in biblical Hebrew. That root in turn derives from the word kol קול - "voice", and according to Klein originally meant "to call together" or "call to to an assembly". (The English word call does not appear to be related.) The two roots are occasionally interchangeable. In Yirmiyahu 51:55, we find the phrase kol gadol קול גדול meaning "large assembly", and there are those that explain the word kehila in Nechemiah as meaning "voice". 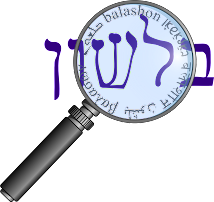 A similar case of a connection between "noise" and "group" is found in the word hamon המון. It originally meant "crowd" (and later took on the meaning "abundance"), and derives from the root המה, meaning "growl, roar". One might think that the word makhela מקהלה - "choir" is connected to kol, voice, but in its singular appearance in the Tanach (Tehilim 68:27) it also meant originally "assembly". Let's go back to kahal and kehila. Rosenthal here (discussing the modern usage) says that kehila is a group of people with a common interest or goal ("community"), whereas kahal is only a group of people assembled together, and in modern Hebrew is usually limited to the sense of "audience", or the public in general, such as in the phrase daat hakahal דעת הקהל - "public opinion". A much newer word is kehiliya קהיליה. Introduced by Ben Yehuda, who intended for it to be the Hebrew word for "republic", it has become a synonym for kehila. It is most commonly used when discussing a community of nations - so a good translation would be commonwealth or federation.